It is a world building, survival game with 2d retro/pixel art style graphics. Build mines and gather precious resources like gold, iron and coal. Craft items to help you build the shelter then home and finally the colony. Prepare your trusty sword because without it living will be quite a challenge. Various minions of evil are lurking underground and just waiting for the dusk to come. Beware of skeletons and zombies. Build a shelter to keep you safe. Hoist the sails and take course on adventure! Explore unlimited procedural world filled with hidden treasures and monsters. Hire other NPCs to help you build the colony of your dreams. Feel the atmosphere of the world filled with climatic day/night cycle effects, birds singing, cricket chirping on dusk and wolf howling at the moon. The game has intuitive controls using two D-PADs - left for steering and jumping and right for action such as hitting the enemy, digging or opening door. You can change the mode from digging to placing/action by tapping orange pixcaxe in the top right corner. - terrifying monsters like skeletons and zombies! - and many more to be implemented in near future! 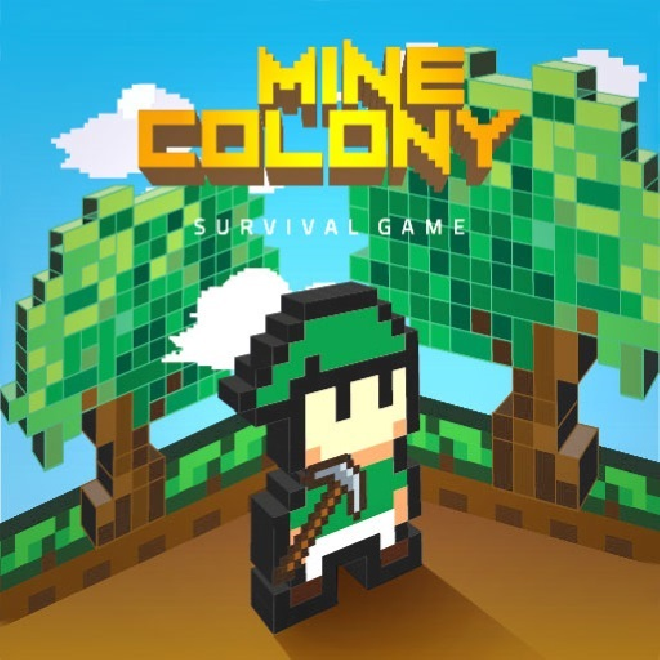 To promote Mine Colony and grow its popularity (top games), use the embed code provided on your homepage, blog, forums and elsewhere you desire. Or try our widget. Una aventura gráfica en un pueblo llamado Tepic, te transportamos a una era medieval. A talentless kid with an unique talent save the village!